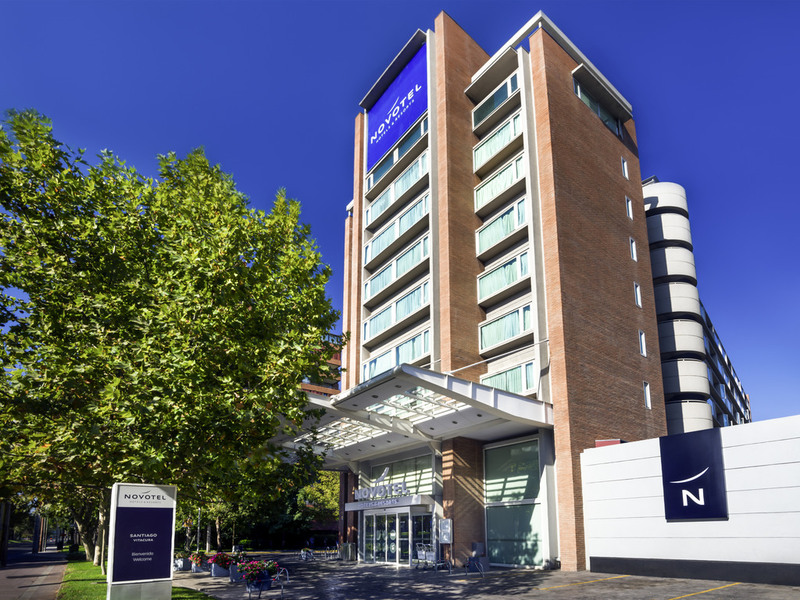 Located in the Vitacura neighborhood, the Novotel Santiago Vitacura hotel is the best option for business, leisure, shopping and culture. A stone's throw from the Parque Arauco shopping center, Casa Piedra, stores, luxury boutiques, museums and the city's best restaurants. Close to convention centers such as Casa Piedra and Espacio Riesgo, mall Parque Arauco and Santiago's gastronomic and fashionable center. It offers free WIFI and pets are available in the room. In Santiago's most exclusive neighborhood; Restaurants, Discos and Shopping Malls. Next to the new financial center, 5 min from Espacio Riesco, Casa Piedra, the UN and FAO. Heated indoor swimming pool, giant hot tub. Fitness Center open 24/7. High-speed WIFI throughout the property. Free access. 25 minutes from Santiago Airport along the same highway that leads to snowy regions, beaches and the best vineyards in the Casablanca Valley, the Novotel Santiago Vitacura hotel has 144 rooms. Relax in Bar 365, which offers a special snack menu, sandwiches, regional specialties and international cocktails (including non-alcoholic options). Early Bird breakfast (4am - 6am) and City breakfast (from 9:30am to midday) available 7 days a week. Trevligt, välstädat och elegant. Bra service i receptionen och en bra restaurang. Trevlig personal, bra sängar, bra frukost och bra barmat!